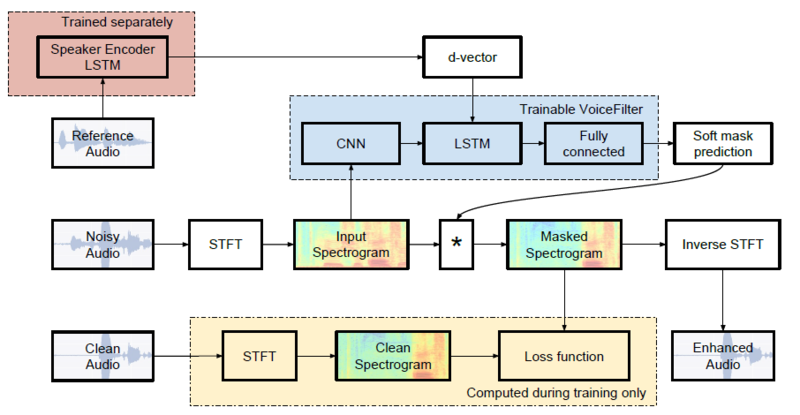 Unofficial PyTorch implementation of Google AI's: VoiceFilter: Targeted Voice Separation by Speaker-Conditioned Spectrogram Masking. Training took about 20 hours on AWS p3.2xlarge(NVIDIA V100). SDR converged at 10, which is slightly lower than paper's. ffmpeg-normalize is used for resampling and normalizing wav files. See README.md of ffmpeg-normalize for installation. To replicate VoiceFilter paper, get LibriSpeech dataset at http://www.openslr.org/12/. train-clear-100.tar.gz(6.3G) contains speech of 252 speakers, and train-clear-360.tar.gz(23G) contains 922 speakers. 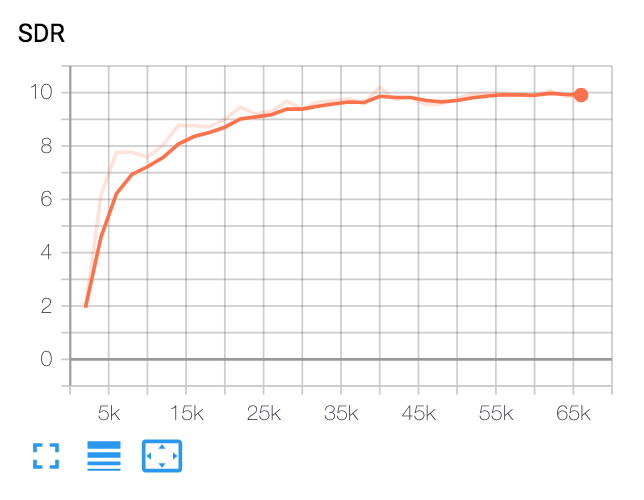 You may use either, but the more speakers you have in dataset, the more better VoiceFilter will be. vim normalize-resample.sh # set "N" as your CPU core number. VoiceFilter utilizes speaker recognition system (d-vector embeddings). Here, we provide pretrained model for obtaining d-vector embeddings. This model was trained with VoxCeleb2 dataset, where utterances are randomly fit to time length [70, 90] frames. Tests are done with window 80 / hop 40 and have shown equal error rate about 1%. Data used for test were selected from first 8 speakers of VoxCeleb1 test dataset, where 10 utterances per each speakers are randomly selected. The model can be downloaded at this GDrive link. These are some of my personal opinions for improvement. If you have other ideas, don't hesitate to open issue. Masks performed poorly on high-frequency channels. 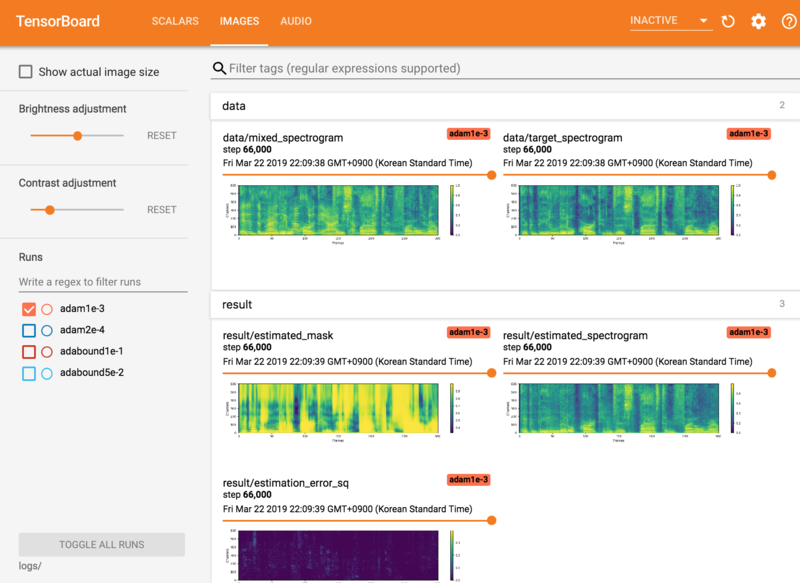 Training embedder system with linear-scale spectrogram instead of mel might improve this. Replace zero-padding with partial convolution. Try power-law compressed reconstruction error as loss function, instead of MSE.